S oundings seem to speak the same language as the emotional body which is often not a language of words but a subtle one of feelings and vibration. Few healing modalities transmute energy through the emotional body as well as Soundings. Devan does this not only through her touch, but by the Musical Meditations she weaves together and the sacred tools she uses in her work. Using specially sequenced music, sound and voice, the vibrations become a catalyst that promotes growth and healing during Soundings. Instead of using music as background noise, she utilizes the Musical/Meditations with a good sound system to assist your spiritual, mental, physical, and particularly the emotional body into releasing codependent beliefs and emotions that are no longer serving the Soul's Highest Purpose. With other selections she opens your energy fields to receive the information and love that is your birthright. Whether you are releasing blocks or bringing in more of your ORIGINality, she knows which piece will help you gracefully evoke the energetic flow. Feeling the music/sound vibration allows your body, mind and emotions to be entrained to a more expanded consciousness. Once they have experienced the bliss of expandedness, they will continue to look for other experiences in life that will allow more of this feeling of Wholeness and Grace. Devan also uses various sacred tools, such as drums, rattles , tsing tsaws, brass and crystal bowls, and her own voice with the music to create whatever your ORIGINality is telling her you need at the time. That's right, your ORIGINality is in charge of what wants to happen in a session. This is about your empowerment. Devan has no agenda of her own. She becomes a hollow bone and brings through any energy that you as ORIGINality want for your benefit. Because she communicates with other dimensions, she has the ability to work on many different levels of being. So she just tunes in to find out what selection of music will aid you most for each Sounding . By addressing the physical and emotional bodies through sound and vibration, Devan is able to help you release long held patterns that have held you hostage to a codependent existence. Allowing yourself to let go of long standing beliefs that no longer serve you, frees you up to get on with creating the life you truly want. Soundings can help you remember who you truly are. 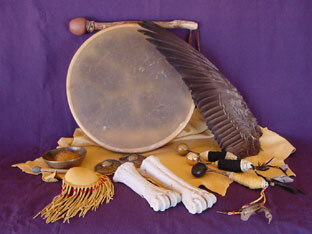 Here are a few samples of Musical Meditations that Devan uses is private Soundings and Workshops. Check the Workshops and Events page for an Soundings or classes coming up near you. This is a Musical Meditation to invoke the energy of the California Redwoods. As you are journeying ask of them, “What do you have to tell me in this moment. 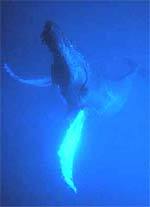 Devan has been communicating with the humpback whales since the early 70's when she was living in Hawaii. They have given her marvelous information about the “bigger picture” and have been tantamount in helping her develop Soundings. One particular whale speaks with her the most. Her name is Lehua. Keep checking this page! The Meditations will be changed periodically.